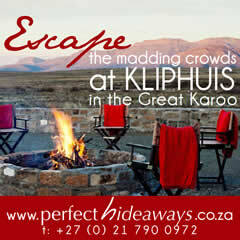 Kathumzi B&B is situated on the Kalahari Golf and Hunting Estate. At Kathumzi you can expect warm hospitality in a relaxing and tranquil environment. Expect magical sunsets, an abundance of bird life, game viewing from your bedroom and breathtaking natural Kalahari surroundings. 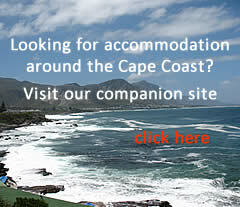 Kathumzi B&B offers 4 luxuriously appointed bedrooms. 32” Full HD LED Flat screen television. Sishen Golf Course was designed by Bob Grimsdell with the objective of providing a recreational outlet to the mining community. The par 72, 18 hole golf course is truly an amazing setting in which to play golf - the course winds its way through a 500 hectare Camelthorn forest on the edge of the unique Kalahari desert. Given the arid surroundings, its lush green Kikuyu fairways and greens continue to surprise all visitors to this region. The course is a challenging 6450 metres in length and has an impressive 72 rating. Water comes into play on the 6th, 9th and 18th holes with the magnificent Camelthorn trees ready to ensnare any stray shots! The club facilities include a driving range, practice tees and halfway house. The golf club is part of a sporting and recreation club, with the main clubhouse and restaurant situated about 150 metres away from the golf course. Tennis, squash, bowls and a swimming pool area available at the main club. Also hosts a State of the art gym. Sishen Golf Club is unquestionably the jewel in the Kalahari crown - one only has to play a round here to understand why. Turn right at the sign "Kathu Sake Sentrum"
Ask at the security gate for directions to Kathumzi B&B. Turn left at the sign "Kathu Sake Sentrum"